North Korea says it has successfully carried out its first underground test of a hydrogen bomb - a more powerful weapon than an atomic bomb. If true it would be its fourth nuclear test since 2006 and mark a huge advance in its nuclear capabilities. The announcement was swiftly criticised by world leaders with South Korea calling it "a grave provocation to our national security". But there has been no independent confirmation of the North's claim yet. Why can't the world stop them? North Korea has a determination to defy both world opinion and heavy sanctions to reach their nuclear goal. Crucially, its main ally, China, has proved either unwilling or unable to help. A 5.1 magnitude tremor was detected about 50km (30 miles) from Kilju city, near the Punggye-ri nuclear site, which monitors said was likely not natural. North Korean leader Kim Jong-un had said last month that Pyongyang had developed a hydrogen bomb, although many experts were sceptical. Hours before the seismic activity, South Korean media reported that Pyongyang had test-fired a ballistic missile from a submarine in late December. It is unclear whether the test was successful or not. North Korea said in May it had conducted a similar successful submarine launch. A hydrogen bomb would be a step up in destructive power from previous tests. It gives more explosive power for a lighter weight. After the last test, in 2013, there was widespread condemnation. The UN Security Council held an emergency meeting at which its members, including China, "strongly condemned" it. Similar outrage is expected this time. Prime Minister Shinzo Abe of Japan has said this was a "serious threat" to the safety of his nation. On top of any fourth nuclear test, North Korea also appears to have tested a submarine-launched missile. The ability to launch missiles from submarines would change the whole calculation of military response because warning times of an attack on, for example, the West Coast of the United States would be much shorter. 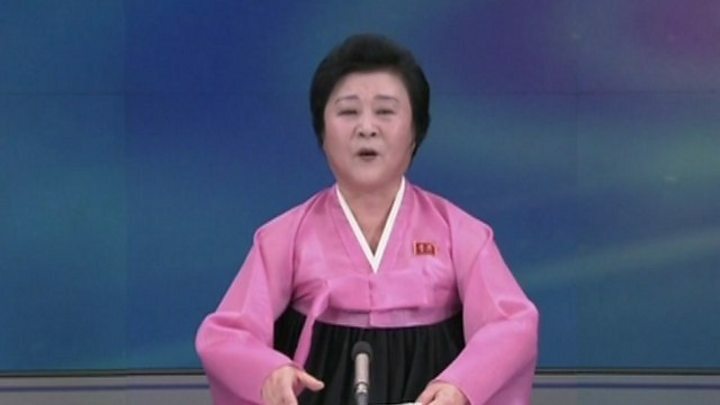 Before the test, North Korean state media said the country "deserved to hold nuclear weapons... to counter nuclear threats by the US". Experts had believed North Korea was still some years from being able to hit a target with a nuclear bomb delivered by a missile. But it is crystal clear that it is absolutely determined to be able to do so. It is also clear that it is improving its abilities rapidly. Strong reaction started pouring in after the North Korean announcement of the hydrogen bomb test, with South Korea saying it was a serious challenge to global peace and a violation of UN Security Council resolutions. China, North Korea's main ally, said it "firmly opposes" the test saying it was carried out "irrespective of the international community's opposition". The Japanese Prime Minister Shinzo Abe said it was a threat to Japan's safety and could not be tolerated. The US called on North Korea to abide by its international commitments and obligations saying it would respond to provocations. After previous tests, the international community has responded with economic and political sanctions. The United Nation Security Council plans to hold a meeting of its members on Wednesday. February 2013: A third nuclear test takes place using what state media calls a "miniaturised and lighter nuclear device"